House hunting when you own a dog can be a challenge. Your home must accommodate your dog’s needs as well as your own. You’ll also need to keep him safe while you move and help him adjust to relocating. Let’s take a look at what you can do to make sure that your dog is as happy as you are in your new home. From the very first step, you want to make sure your realtor has plenty of experience with selling homes to dog owners. Better yet, find one who has a dog. Of course, even that might not be enough. 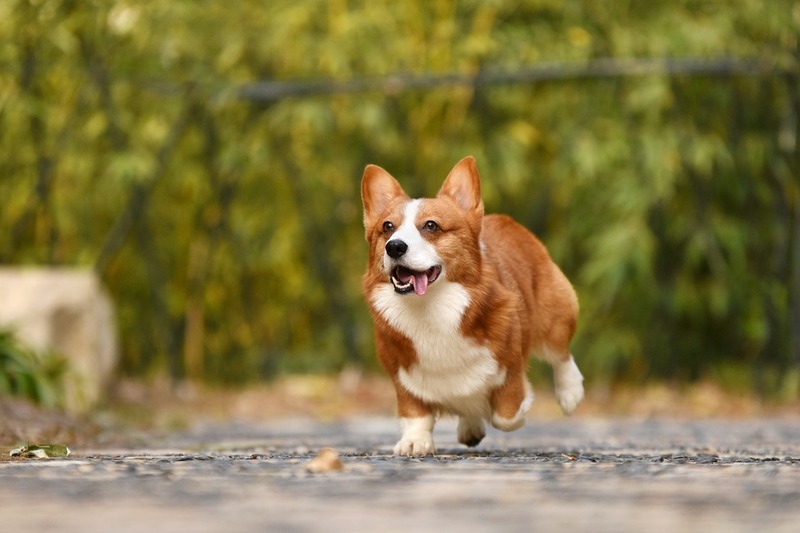 Rhona Sutter, president of Pet Protect, says a realtor should be knowledgeable about local pet ordinances and other rules that apply to your dog. “Also, when out looking at homes, listen for mentions of local pet amenities instead of just, ‘Great home, great price, must move quickly,'” she says. Make that you can comply with all homeowners association, apartment, or other rules and local ordinances regarding dogs. Conveniences can be important too. A nearby veterinarian can be crucial in emergencies, and pet stores and grooming shops will be helpful. While it might not be at the top of your mind, a nearby dog park can be an enticing feature too! However, be aware that your dog can be in danger if he gets loose around a busy street. Always keep his safety in mind, and invest in things that have safety in mind. While a good fence can keep him from escaping, look into getting a GPS pet tracker just in case he manages to get free. Every dog loves a backyard, but what size yard does yours need? Do you need a fence? Is the house itself big enough? If you have a puppy, you’ll need to consider how big he’ll grow – or not, depending on the breed. Michelle Christie, corporate affairs manager for Royal Canin South Africa says certain medium to large dogs, like bulldogs, can do well in smaller spaces. It’s also wise to consider future needs. What if his leg is injured? What will we do when he is elderly? You can buy a two-story home, but you should map out what you’ll do for your pet if he can no longer climb the stairs. Local animals and pets can also play a key factor. Are there predators living nearby? Also, find out if the previous owner had a pet. Pets can leave behind dander, bacteria, fleas, and ticks, so clean and exterminate beforehand. There are a few things you can do to make sure your dog is comfortable and happy with his new home. Packing and relocating will stress out your pet. Take time to prepare him by getting him used to packed boxes and your new area, little by little. Moving day is difficult for any pet. Make sure he is safe. You may want to leave him with a friend to ensure he does not get lost with all the open doors. 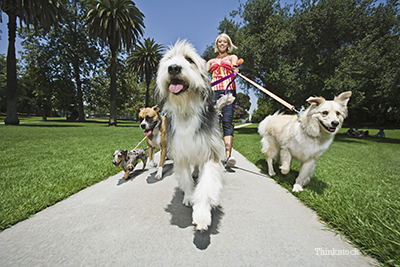 Make sure to tire out your dog before the big move with a long walk. Create a space just for your dog. Load it with his toys, blankets, and bed. Give him a special treat and show him love — even after a tiring moving day. After all, you are his best source of comfort. Help him acclimate by keeping the food and water bowls in a similar area as the previous house. Don’t wash any of his blankets, beds, or toys as the old smells are comforting. Your dog is more than just a companion — he’s a member of the family. Put his needs next to yours when buying a new home. For someone who owns neither a car nor a pet, the topic of best cars for dog owners might seem like a useless discussion, as your dog can theoretically ride in whatever vehicle you have at hand. However, if you’re a passionate dog owner, especially if you own several fur babies, and looking to buy a new car anyway, why not include the needs of your four-legged family members into consideration. The cars listed here are all currently available models that share certain attributes. You’re welcome to purchase an older used model, but make sure you take a note of particularly desirable features that these cars share. Dog-friendly cars have a separate cargo area with plenty of space, and it’s particularly important that this area can be air-conditioned. At least, the rear windows should be electronically operated from the driver’s seat to provide much-needed ventilation for your pet during long rides. The cargo area should have flat sides, with no protrusions. Ideally, the area shouldn’t be carpeted, so it doesn’t trap hair. A rubberized floor liner should solve the problem. The entrance to this area should be as low to the ground as possible, which is especially important for aging pets. Cargo hooks in the back area are immensely useful for fixing dog safety harnesses or carriers. This small five-passenger SUV has seen a total makeover, which made it a perfect budget-friendly option. Buyers can now choose among several engines, which reflects the price point. The cargo area is substantial for its class but might be too small for larger dogs and carriers. The interior cargo capacity is supported by an optional hands-free liftgate which makes loading and unloading easier. Its privacy glass option helps protect your dog from excessive heat and sun rays. If you’d like to purchase a two-year-old car like this, chances are you’d need to sell yours first. After a series of unsuccessful listings in classified ads, I decided to sell my car online at Carbiz, and haven’t regretted since. Those people have developed a simple and hassle-free way for busy people to buy and sell their car for an unbelievable price. This class-leading minivan is a perfect option for both people and pets, as it seats up to eight passengers and still provides plenty of cargo space. With enough smart features to keep kids occupied, even at day-long road trips, its sliding door makes loading a pet crate into the passenger compartment a breeze, but you can also use the back hatch. The car’s low step-in height is also convenient for leading a dog inside and out. As a special pet-friendly feature, this Honda offers the HondaVAC built-in vacuum cleaner, which makes it easier for you to keep the van clean. Featuring a huge cargo compartment, rear seats on this Ford fold flat, and the car has an optional refrigerator large enough to hold cool water and fresh treats for both you and your pup. Often called a Mini on steroids, the rear hatch on Ford Flex opens wide, with the floor close to the ground. Its big glass surfaces will give your pet a good view of the surroundings, while its many comfort and convenience features make it a perfect ride for two-legged family members as well. Since its introduction in 2009, Flex has undergone only a few changes, which means you could find a great used one for a reasonable price. While keeping your pup safe and comfortable during rides is most important, when choosing a perfect car for you and your pet, you also need to consider features like low entry height, floor material, the ease of access, and air-conditioning or ventilation.